I’ve been delving deeply into The Criterion Collection this winter as a prerequisite to my 2014 New Year’s Resolution. Bundled up in blankets with a cup of Bigelow’s Constant Comment tea, I’ve knocked movies by Alfred Hitchcock, Michelangelo Antonioni, François Truffaut and Otto Preminger off my list. Whether I’m watching Nicolas Winding Refn’s ‘Only God Forgives’ for the millionth time with Eric or dragging a buddy to a limited release independent film at Celebration! Cinema here in West Michigan, it has definitely been a year for film! 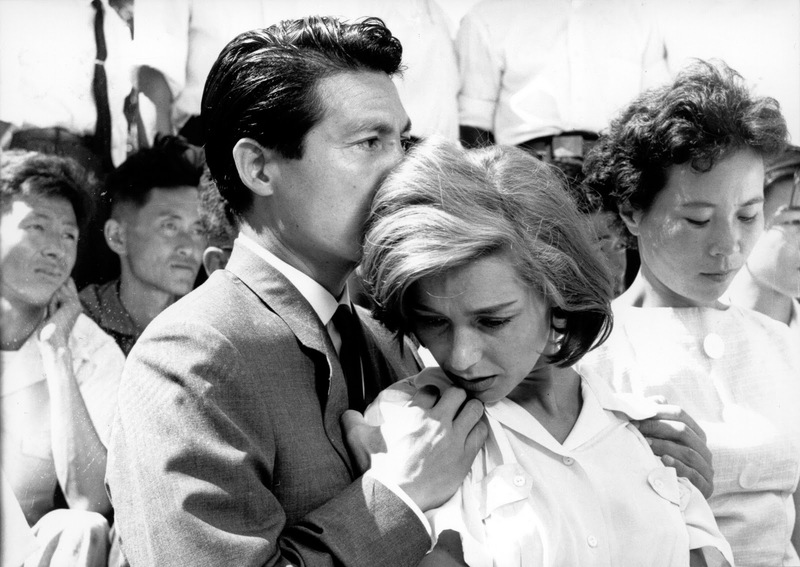 Probably the most striking and beautiful movie I’ve seen thus far has been Alain Resnais’ 1959 French New Wave film, Hiroshima Mon Amour. What a vision before its time! Written by the brilliant Marguerite Duras (the writer of L’Amant. Absolutely read her autobiography if you can find it in English), Resnais creates a devastating black-and-white world that unapologetically explores a seemingly peaceful place between postwar Hiroshima and Nevers, France. 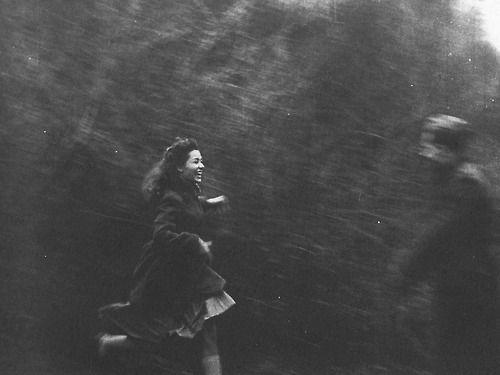 Both “She” (played by Emmanuelle Riva) and “He” (Eiji Okada) personify the pain of embarrassment, the loss of life and the lack of atonement for their affair. With only a few hours spent between them, He looks longingly into She’s past…trying desperately to find justification for her inability to reciprocate love in the face of a very powerful lust. Every scene is a new stanza in a stream-of-consciousness-type dialogue that alternates between flashbacks and the present. Such a profoundly poetic script. I don’t remember a time I was this moved and felt so similar to the personal philosophies and “dubious morals” (as She calls them) of Duras’ fictional female character. Though it is done in a very delicate manner, this film from The Criterion Collection is sure to push you in a very poignant way. Do not go from this world before watching it! Watch it, feel it, learn from it. This movie has the ability to move a very massive and obscure part of you…just as it has done for me. This entry was posted in Movies and tagged Alain Resnais, cinema, Eiji Okada, Emmanuelle Riva, film, French, French New Wave, Hiroshima Mon Amour, Marguerite Dura, movies, The Criterion Collection. Bookmark the permalink.